Ind 256 /8 in 50 overs England 260/2 in 44.3 overs. India vs England 3rd ODI Cricket Match being played in Headingley on 17th July 2018. This is a must-win match for both the teams because in 3 matches series both teams are at the same stage and have won the one-one match. So this is final of the ODI series. In this India tour of England ODI series India have won 1st ODI due to the best performance of Rohit Sharma and Kuldeep Yadav. England has won 2nd ODI with the help of best performance of Joy Root. India changed some players. Dinesh Kartik and Shardul Thakur are playing respectively instead of K L Rahul and Umesh Yadav. India scored 256/8 in 50 overs but couldn't stop England to achieve the winning target. England scored 260/2 and won this match by 8 wickets and ODI series by 2-1. England won the toss and opt to bowl first. As usual Rohit Sharma and Shikhar Dhawan started the inning for India. Rohit Sharma couldn't play well as similar 2nd ODI and lost his wicket very soon. He scored only 2 runs. Shikhar Dhawan played a great inning of 44 runs but unfortunately got run-out by a direct hit. Dinesh Kartik lost his wicket after hitting some marvelous shots. It was wicket no. 3. He scored 21 off 22 with 3 4s. MS Dhoni and Virat Kohli still on the crease after 25 over. Virat Kohli 71 off 72 with 8 4s, Dhoni 42 off 66, Hardik Pandya 21 off 21, Bhubaneswar Kumar 21 off 35, and Shardul Thakur played the blasting inning of 22 off 13 delivery in which he smashed 2 6s, This is the first batsman who got 6s in 2 ODI matches. India scored 256/8 in 50 overs. Adil Rashid and Dewid Willy got 3-3 wickets. Mark Wood got 1 wicket for England. James Vince and Jonny Bairstow gave England a good start. James Vince lost his wicket as a run-out due best combination of Hardik Pandya and Dhoni. He scored 27 off 27 with the help of 5 4s. The 2nd wicket of England of Jonny Bairstow taken by SN Thakur. This was only one wicket taken by Indian bowlers in India vs England 3rd ODI cricket match. Jonny played a blasting inning of 30 off 13 with the help of 7 4s. Captain Morgan scored 88 off 108, in which he smashed 9 4s and 1 6s. Joe Root again played a great inning and reached England to win. He scored 100 off 120 with the help of 10 boundaries. 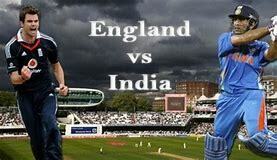 England scored 260/2 in 44.3 overs and won this India vs England 3rd ODI cricket match by 8 wickets. England won this 3rd ODI and series. In this series, India has won 1st ODI while England has won 2nd ODI and 3rd ODI of this series.